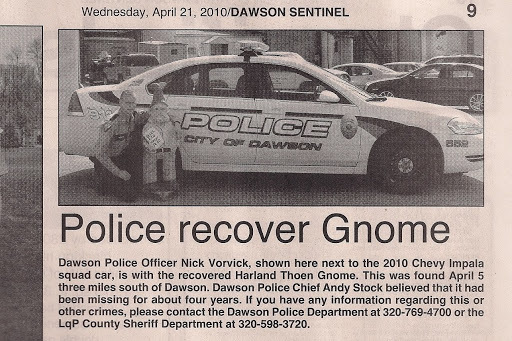 Police recover Gnome. | there's no place like gnome. I think if you look at the breakdown of the purpose of this story it would be:25% : missing gnome found!74%: oooo- 2010 (new! new! new!) squad car.1% : everybody loves a story that features a man in uniform.